By making your fridge look like a healthy salad bar, each meal you make will be quick and easy. Imagine turning your food into a subway, but only the part where the vegetables are. Forget the processed meats, breads, and cheeses. Those are gross and bad for you! Following lower you’ll see tofu and a bag of brocoli. 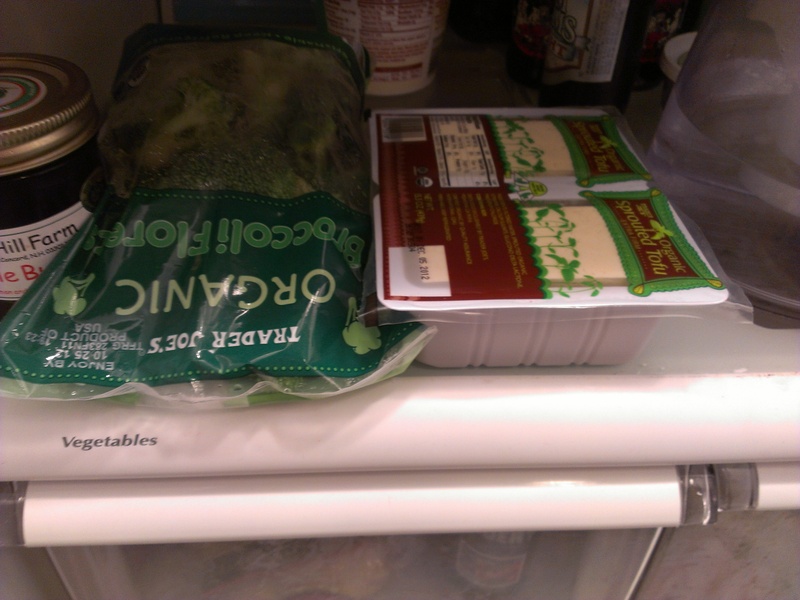 Again, the brocoli could be in a container on top (which today mine is) but I didn’t have enough space or containers to do this. So once one of my kale containers got juiced, I dumped the brocoli in it for easy snacking. The tofu is still on display in front next to my Brita water, so it’s in direct view and easy access for recipes. Juicing isn’t for everybody. (And I’m not talking about steroids when I say “juicing”) It’s raw vegetable and fruit juice of course! Some people hate chopping and washing just to juice, but I find it relaxing and therapeutic. I don’t juice all the time, especially if I’m super swamped with work and life, but if I find the time, I love to do it. I actually just bought mason jars because I wanted to make enough to drink 2-3 16oz jars a day! So I’ll make 3-6 jars at once and have a couple days worth of yummy & refreshing vitamin water. The REAL vitamin water! Haha. Having a raw green juice (all green vegetables) in the morning is a fantastic way to add a liquid salad to your breakfast. It is surprisingly filling alongside a small yogurt or banana. Also, it’s great in place of a coffee or tea. Green juice is very energizing because of all the vitamins and minerals it holds. It is guaranteed to wake you and your body up, any time of day. Green: I put 3/4 rough veggies and 1/4 fruit, like a green apple or pear, as seen below. If it’s too bitter for you, mix half with ice cold water. Orange/Red: If you want a sweeter juice, for say, a lunch or midday treat, make a carrot-apple base and add a green veggie like spinach or sprouts. So it would be 1/2 carrot-apple, 1/2 green veggies. If you’re going to juice, get a cold presser like this one. 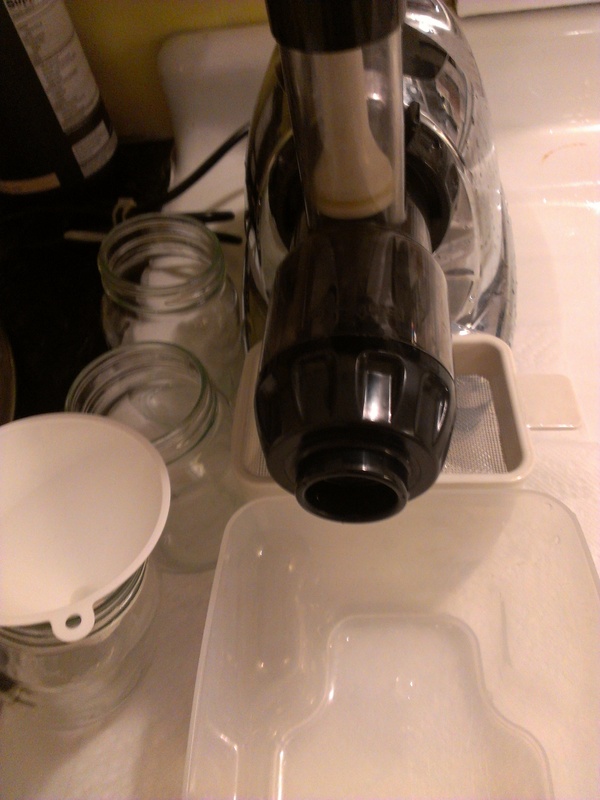 The spinny (Jack Lalane) ones are super annoying to clean and get a lot of spillage. Plus, this is scientifically the best kind of juicer to extract the most, and most nutritious, juice from your veggies. PLUS! It doesn’t only juice. It makes frozen bananas (or any frozen fruit) into soft serve like no blender can do (even my Vitamix), turns cookies into dust for pie crusts, turns veggies and fruits into baby food (just in case you plan on that/ or have a baby) and so much more. Seriously, this is the opposite of a unitasker! Invest in some mason jars/ Ball Jars with rubber sealed lids. This will keep your juice from oxidizing (turning brown and losing nutrients.) I suggest ingesting your juice within 48 hours of making, and a total maximum of 72 hours. Get rid of the junk! If you have cookies and chips in the house, you’re going to eat them. No one likes a food waster! So, simple solution: Don’t put them in your house. If you want junk, eat it outside your sanctuary. 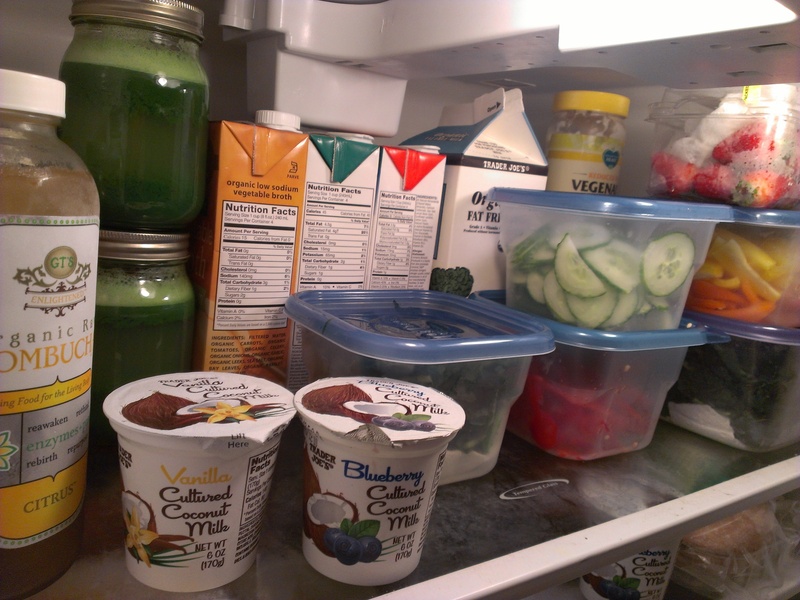 Organize If you’re pantry and fridge is organized with healthy food, eating will be a stress free, quick, and easy time. You don’t want to connect negativity to eating healthy, so make it a positive experience. Use Small Plates The average american dinner plate is 2/3 the size of a European dish. Start eating like our thinner neighbor and use portion control. Your food will look like a bigger amount if it’s place on a small dish. Stop drinking soft drinks. Soda, energy drinks, and processed juices like V8 and Tropicana are full of junk and GMO crap that will take away from your weight loss. 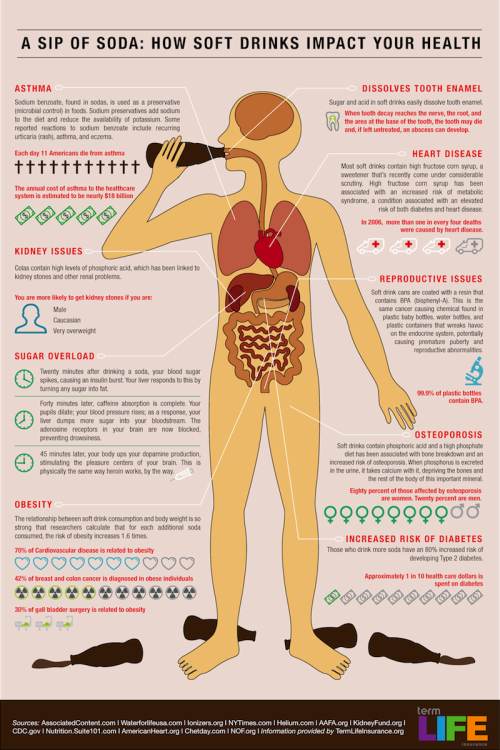 Soda does a whole lot of no good to your body, so just stop buying it now. Try Kombucha, Organic herbal teas, Sparkling Mineral Water, and water with lemon, limes, and/or cucumbers. It’s quite refreshing and hydrating! Enjoy the process of eating clean and being healthy. It should never feel like a chore or downfall of life. Let food be thy medicine, not poison!